The defeat of ISIS can only be achieved if we take a long view and question the Jihadists’ simplistic interpretation of the West’s troubled relationship with the Middle East. 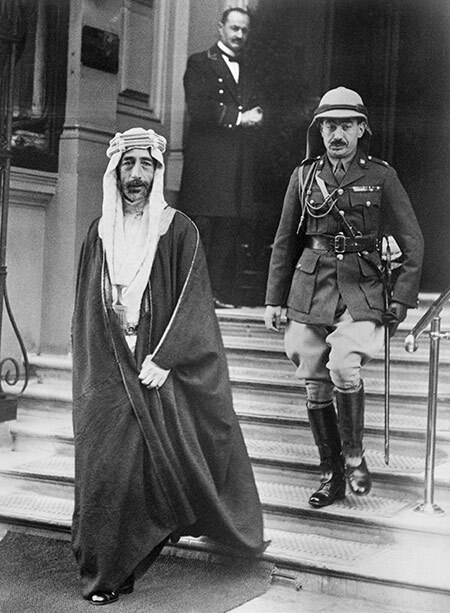 Betrayed by the British: King Feisal of Iraq on a visit to to London, November 1927. The rapid rise of ISIS and the attempted establishment of its anachronistic caliphate, along with a seeming omnipresence that has allowed it to wantonly strike out in brutal terrorist attacks abroad, has left many reeling in shock and disbelief. Political commentators have tried to account for the alarming alacrity and sheer audacity of the phenomenon by shining a critical light on the recent history of western intervention in the Middle East. Indeed the emergence of ISIS cannot be understood without taking into account the invasion and occupation of Iraq in 2003; the wanton destruction of the country’s infrastructure in its wake; the dismantling of its military and security apparatus, which left insecurity and power vacuums; the installing of a divisive, sectarian Shiite political administration in Baghdad; and the broader context of decades of western support for Middle Eastern despots and dictators at the expense of their people. The ISIS propaganda machine has been busy capitalising on the unintended consequences of disastrous western foreign policy in recent years to legitimise not just its goals, but its very existence. As historians, however, we must be aware of the context of a much deeper history of western intervention in the Middle East than political commentators suggest, in part because ISIS manipulates a much longer historical legacy of western intervention for its own ends in its propaganda and recruitment efforts. There are numerous examples of ISIS invoking a tendentious reading of history to justify violence and legitimise its world-view, but perhaps the most striking of these can also offer insights into just how precarious its historical narrative really is. The toxic legacy of the Crusades features prominently in ISIS propaganda. The Crusades have long symbolised the seminal conflict that defined the troubled relationship between western Christendom and the Muslim world. In recent years the Crusades have again become ideologically loaded, employed by Jihadists to validate their claims and actions. Al-Qaeda rejected the idea that the current wars in Iraq, Afghanistan and elsewhere were part of a ‘Global War on Terror’, preferring to rebrand these conflicts as ‘renewed aggression’ by the ‘Zionist-Crusader Alliance’ against the Muslim world. The al-Qaeda leadership was keen to portray Jihadist fighters as ‘chivalrous Medieval knights’ serving as the vanguard, heroically resisting these new incursions into the Muslim heartlands. Al-Qaeda was so successful in utilising this narrative that even its ideological opponents have recognised its success in promulgating a historicised reading of contemporary events, with Michael Scheuer, the ex-head of the CIA’s ‘Bin Laden Unit’, referring to Osama Bin Laden, the al-Qaeda leader killed in May 2011, as a ‘modern Saladin … [who] makes brilliant use of the intimacy of Muslims with Islamic history’. ISIS propaganda has taken this appropriation of the history of the Crusades to a new level. Issue four of its flagship glossy magazine, Dabiq, published in October 2014, was entitled ‘The Failed Crusade’ and framed the campaign against them as the ‘The Final Crusade’. 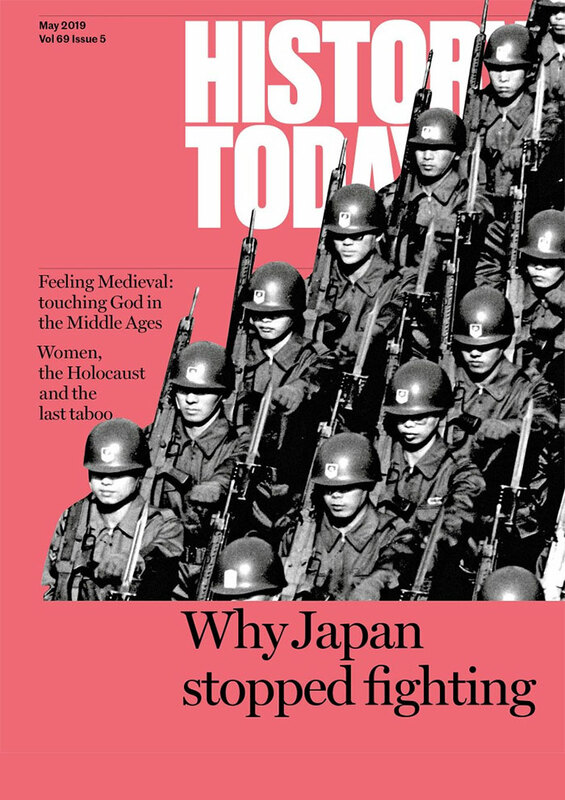 In a striking illustration of the anachronism represented by the ISIS world-view, the magazine’s front cover featured a photoshopped ISIS flag fluttering atop the Holy See in the Vatican, with threats against ‘Rome’s Crusaders’. ISIS again invoked the spectre of the Crusades following November’s attacks on Paris, accusing France of participating in a ‘Crusader campaign ... striking Muslims in the land of the caliphate with their aircraft’. By framing the current conflict between western allies and ISIS as an anachronistic struggle against Crusaders, it re-imagines the history of the Crusades to force a comparison with western medieval aggression. Another glaring example of ISIS’s shrewd manipulation of historical narratives can be seen in its invocation of the 1916 Sykes-Picot agreement, a secret treaty drawn up during the First World War, which ‘carved up’ the remains of the Ottoman Empire between Britain and France. This agreement was reached despite promises made by the British High Commissioner in Egypt, Sir Henry McMahon, to King Hussein that he and his sons would have their own kingdoms in exchange for rising against the Ottoman Empire in the Arab Revolt, which began in 1916. T.E. Lawrence, who played a major role in helping organise the revolt, regarded this as a betrayal and felt that he had become ‘the chief crook of our gang’. Once Prince (later King) Feisal, the leader of the Arab Revolt, entered Damascus on October 3rd, 1918, he expected these pledges to be honoured. Britain, however, was in no place to honour the pledges in Syria, since that territory fell within the French sphere of influence. Feisal and Lawrence went together to the Paris Peace Conference with the goal of overturning Sykes-Picot, but to no avail. The agreement was formalised at the San Remo Conference in 1920 and established the borders of modern Syria and Iraq. Today we are happy to participate in destroying the borders placed by the oppressors to prevent the Muslims from travelling in their lands. The oppressors broke up the Islamic Caliphate and made it into countries like Syria and Iraq, ruled by man-made laws. This conveniently overlooks the fact Syria and Iraq have often been ruled as separate entities. Syria, Baghdad, Basra, Mosul, Beirut and Jerusalem were all distinct Ottoman vilayets by 1876. The idea that the caliphate automatically represented all Muslims or a homogenous global body of believers (the Ummah) is also highly contentious and refuted by even a cursory reading of Islamic history. After Muhammad’s death in 632, no Islamic polity could claim to represent all of Islam or garner unanimous support as the legitimate heirs to the Prophet’s mantle. Even the reign of the first four ‘rightly-guided’ caliphs (632-61), who are viewed nostalgically as representing a utopian model of Islamic governance, is problematic. Three of the four were assassinated while in office; hardly a model of success. Furthermore, the early caliphs also had to contend with violent rebellions that contested their authority, such as the Apostasy Wars (632-3) under Abu Bakr, or internecine warfare, such as that witnessed at the Battle of the Camel (656), involving no less than Muhammad’s wife Aisha on one side and his son-in-law and later fourth caliph, Ali, on the other. Later Muslim dynasties were equally antagonistic, often jostling violently with one another and, in some cases, even seeking political alliances with non-Muslim powers against their fellow believers in their pursuit of power. The case of the Fatimid caliphate, which sought alliances with Crusaders against the Seljuk Turks, is a good example of this type of realpolitik at play. The very idea of a single caliph holding exclusive office is also belied by the troubled coexistence of multiple adversarial caliphates throughout the ages. Indeed, between 929 and 1031 no fewer than three separate caliphates simultaneously – and incongruously – exercised sovereignty in different spheres of the Muslim world: the Umayyads from their seat of power in Cordoba, the Fatimids from their capital in Cairo and the Abbassids, who protested impotently at their waning influence on the empire’s peripheries, from their glorious capital, Baghdad. These historical facts utterly undermine ISIS’s rose-tinted narrative of sublime Muslim unity fractured by nefarious western intervention. This is not to deny that the West has played a primary role in dictating the contours of the modern Muslim world, particularly through the painful colonial period, a legacy with which we are still contending. The stark reality, however, is that the appeal of ISIS rests largely on convincing audiences to adopt a Manichean world-view, which divides the world into simplistic binaries of Islam and the West, based on a fabricated historical premise. 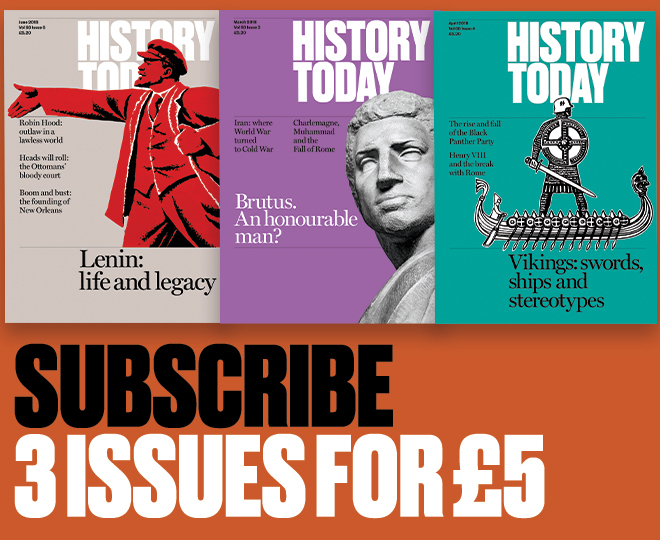 By revealing the contradictions and complexities of these polarising narratives and by exposing just how tendentious and skewed ISIS’s reading of history really is, we can also help to undermine its appeal. Akil N. Awan is Associate Professor in Modern History, Political Violence and Terrorism at Royal Holloway, University of London. A. Warren Dockter is Junior Research Fellow at Clare Hall, Cambridge.